The range and variety of touring poles on the market is huge. Material, weight, functionality and locking systems vary from pole to pole, which can make finding the ideal pole quite difficult. Briefly evaluating versatile qualities below shall be a tool to you for finding the appropriate stick. Carbon found its way into the sport industry quite late in terms of sport history. It has been revolutionary in the sport and construction industry. Carbon is known for being extremely light and therefore ideal for sport equipment. There are two types of carbon fibres. The Anisotropic fibre, is one of the two carbon fibres which is mainly used in sports. 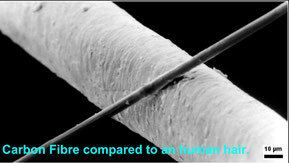 This fibre shows high strength, stiffness and a low elongation at break in the axial direction. So, the main benefit of carbon is its good weight to stability ratio. Also it has more flex and elasticity than alloy. Unfortunately carbon can break after a strong impact or a certain amount of bending. The other downside of carbon fibres is their low resistance to sharp and pointy objects like stones. Nevertheless, the biggest concern with carbon is the disposal of the material because it can't be recycled nor burned. Choosing a carbon pole might be a good choice when you are planing long tours, as the poles are ergonomic and lighter to carry. For the descend they have a lower pack weight than the Aluminium version. Aluminium, a rather soft and impure material which oxidises when exposed to water and oxygen. This process can make lengthening and shortening the pole harder. Compared to carbon, aluminium can resist bigger impacts and higher pressures; this means the pole will bend first before it eventually breaks. Also pointy and sharp objects don't effect or harm Alloy too much. 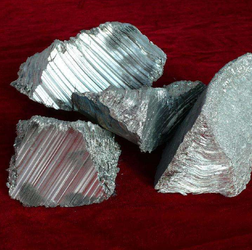 Aluminium is one of the lightest metals in the periodic table, where the price-performance ratio is right. The other benefit aluminium has; it can be recycled and reused. 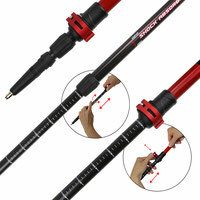 So if you are looking for a durable pole and weight is not your main consideration, then go for one made of Aluminium. 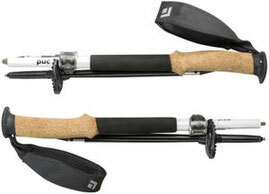 The looking system and the length of a pole is essential for splitboarders . Poles need to be tightly stowed away on the side of the backpack, they definatly can't be sticking out too far. The fold up system usually has the smallest packing size, ideal for touring. The locking barely ever freezes which makes this pole a suitable one for cold conditions. 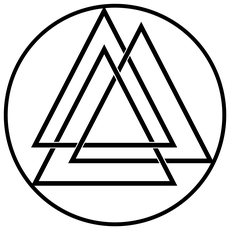 Some of the newer models combine both, the power lock and the fold system. Folding poles are also available on the market in an aluminium and carbon mix. 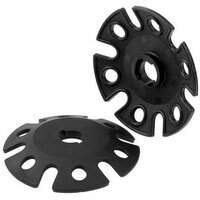 In my eyes these are the optimal poles for splitboarders. 3-part power look poles are slightly longer when in smallest setting, but are still good for a splitboard tour. The looking system is usually external and operable with gloves. They tend to freeze or oxidate if not cleaned or dried properly. To avoid this situation, the best thing to do after a tour is to pull the segments apart without fully separating them and letting them dry over night. 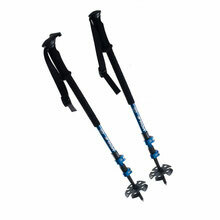 In winter these systems freeze a little faster than other systems, leaving them more suitable for summer hiking poles. Operating the twist lock with gloves can sometimes be quite challenging. Opening, extending and minimising the pole can be tricky when the locks are frozen. To avoid that problem apply the same method as with power lock systems; pull out as far as possible, dry with a cloth and leave them slightly open over night. 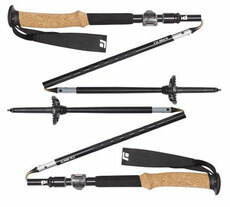 The handle of a touring pole should be longer than a usual ski or hiking pole. When traversing, longer handles can be of great advantage, as one pole can be held by the top and the other further down with the same comfort and balance. For touring poles with a bigger basket are necessary. A large surface area prevents the pole from sinking in the snow too much allowing an easier ascent with less effort and high stability. Poles can do a little more than just support you on the way up. Wrap duck tape around the pole and use as a quick and easy repair solution for skins or bindings. 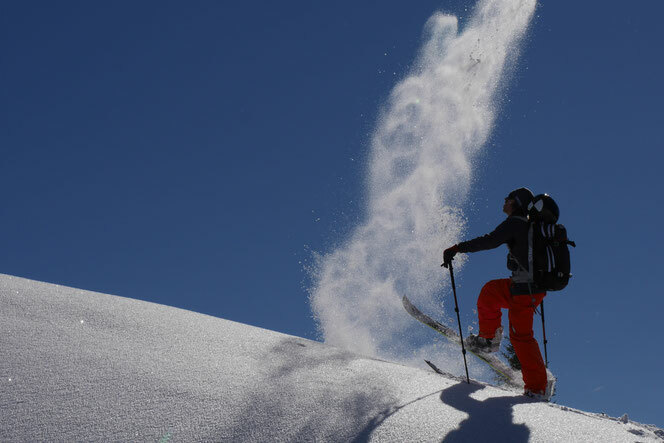 It is also possible to find out the steepness of a backcountry slope by measuring the angle with the two poles. As a splitboarder we don't really need our poles on the way down with a few exceptions, as poles can become handy in flat terrains. A good way to pack away your poles for the descend is with the "Cow hitch knot" where you use the pole's wrist slings and the backpack fixation bands to attach them on the side.